GIWA Co-Founder/Co-Chair, HH Pujya Swami Chidanand Saraswatiji and Secretary General, Sadhvi Bhagawatiji met last week with HH the Dalai Lama during the Kumbh Mela in Nasik. After a heart-warming reunion, they earnestly discussed the Global Interfaith WASH Alliance and its progress in helping to ensure access to clean and healthy water, sanitation and hygiene (WASH) for all. HH the Dalai Lama gave his loving blessings for GIWA’s life-saving mission, which is representative of his singular focus on ahimsa, or non-violence. Every day, more children under the age of five die from complications stemming from poor WASH conditions than those from wars, bombs and other forms of strife combined. 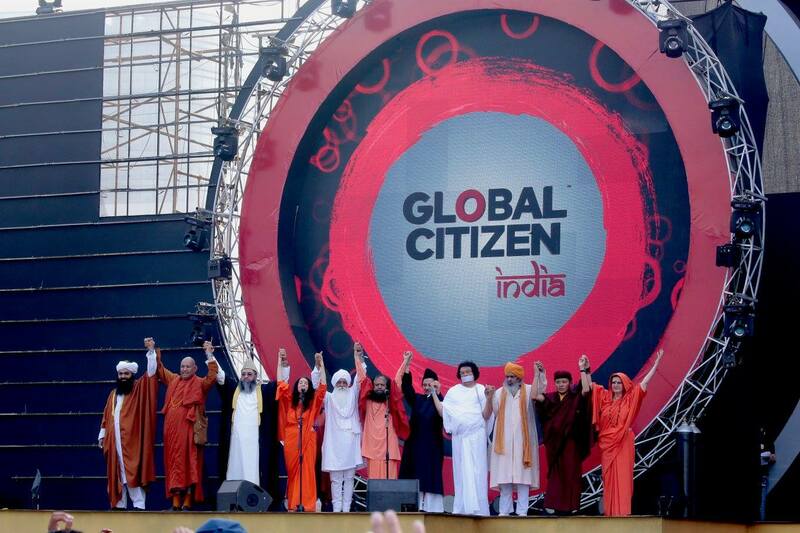 Afterwards, HH the Dalai Lama placed a sacred tilak on GIWA/WASH United’s Pledge Map, signifying his caring commitment for WASH for all and a Swachh Bharat (clean India). He also participated in a GIWA sacred water aarti ceremony to the waters of Nasik, signifying the importance of respecting, revering and conserving water everywhere.